OAKLAND, Calif. -- According to Zumper, the median rent for a 1-bedroom in Oakland is hovering around $2,150, but what might you get for your money? We looked at listings for studios and 1-bedroom apartments to get a sense of what price-conscious apartment seekers can expect to find. This 1-bedroom, 1-bathroom apartment at 6315 Shattuck Ave. in Bushrod is listed for $1,775/month. The first floor unit features hardwood flooring, granite countertops, wooden cabinets and secured entry, but dogs and cats are not permitted. According to Walk Score, the surrounding area is extremely walkable, great for biking and offers many nearby public transportation options. 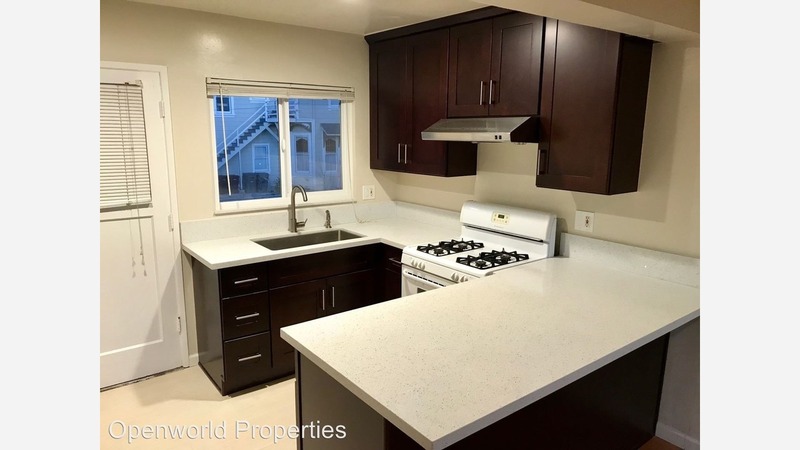 Over at 4015 Howe St. near the Piedmont Avenue commercial district, this 1-bedroom, 1-bathroom apartment is going for $1,795/month. The unit features hardwood floors, granite countertops, stainless steel appliances and on-site laundry. Pets are not permitted. According to Walk Score's assessment, the surrounding area is extremely walkable, is a "biker's paradise" and has decent transit options. Listed at $1,970/month, this 600-square-foot, 1-bedroom, 1-bathroom apartment is located at 409 East 21st St. in Ivy Hill. In the apartment, look for hardwood floors, high ceilings, granite countertops, wooden cabinets and plenty of natural light. Building amenities include on-site laundry and garage parking. Pet guardians, keep looking: dogs and cats are not allowed. According to Walk Score's assessment, the area around this address is friendly for those on foot, has some bike infrastructure and has solid transit options. To wrap things up, this 1-bedroom, 1-bathroom apartment at 1925 7th Ave. in Ivy Hill is listed for $1,975/month. In the unit, the listing promises hardwood floors, in-unit laundry, tons of windows and ample counter space, but pets aren't allowed. According to Walk Score's assessment, the area around this address is quite walkable, is relatively bikeable and offers many nearby public transportation options.